At Nilsan Nishotech, we have always strived to deliver innovative solutions meeting the unique requirements of Indian companies. In this respect, Process R&D has been our pillar of strength. 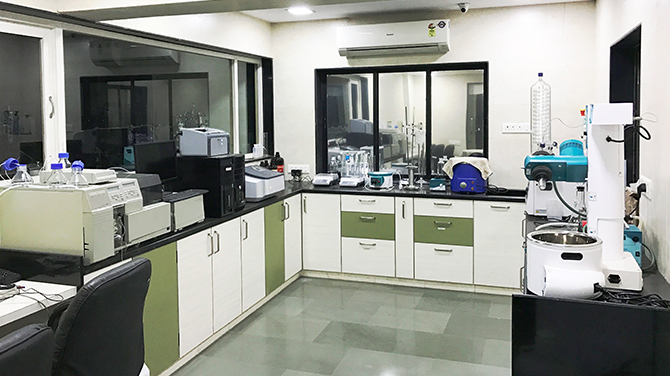 We have had enduring foreign collaborations with companies like Rhodia- Orelis, France, Dr. Müller, Switzerland and Novasep, France that have always given us an edge on the technical know-how and quality of our service. Over the past few years we have realized the need to engage in Process R&D for providing good technical support to our clients. With experts on board, our R&D effort mainly involve key areas of the company’s focus viz. Membrane Separations such as Microfiltration, Ultrafiltration, Nanofiltration and Reverse Osmosis and also in the Chromatographic Separations of APIs, Pharmaceutical small/ large molecules, Generic Biotech molecules, Antibiotics, enzymes, dairy products, etc. It involves optimizing parameters such as selection of a suitable membrane based on the molecular weight cut-off, material of construction and geometry, operating conditions like temperature, pressure, pH, flow-rates etc. Once the parameters have been optimized, theoretical projections for scale up are undertaken to check if further progressing is economically viable. Once the feasibility studies are successful, trials are then conducted on larger volumes. This involves optimizing the engineering keeping in mind the hydraulics, selection of pump, instrumentation, length of operation before cleaning, etc. Cleaning in place (CIP) protocols are established. A scale down of the actual process is done. Results of these trials help us accurately design and engineer the commercial scale plant with minimum errors. 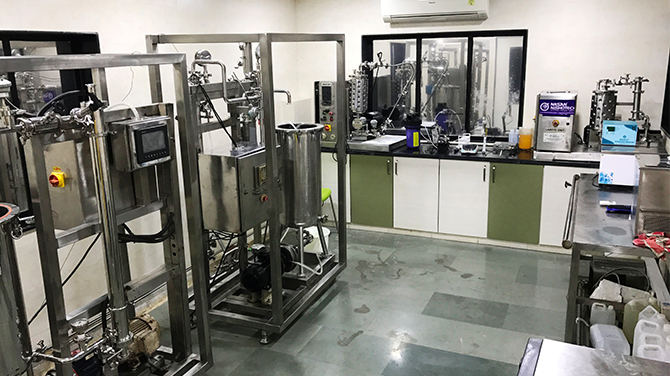 It involves optimizing parameters such as selection of stationary and mobile phase, gradient, operating conditions like temperature, pH, flow-rates etc. which give us a proof of concept enabling us to carry forward the trials on a pilot scale. Once the proof of concept has been established, trials are conducted keeping in mind the target production capacity. Breakthrough curves, thermodynamics & kinetics of sorption and desorption and overloading studies are undertaken to optimize the process which is economically viable. Simulation studies if required are conducted with the help of our leading partner, Novasep.